Copyright: ©2016 Prabhusaran et al. This is an open-access article distributed under the terms of the Creative Commons Attribution License, which permits unrestricted use, distribution, and reproduction in any medium, provided the original author and source are credited. Worldwide leptospirosis is a widespread disease of livestock, domestic pet and animals caused by sprirochete bacteria Leptospira interrogans. Humans get infection accidentally by exposure to infected animals tissues, urine etc (Prabhu et al., 2015). Sporadic cases and outbreaks of the disease have been reported in many parts of India. The disease is general in domestic animals including cattle, buffalo, sheep, goat, dogs and equines and causes fever and its related illnesses, jaundice, acute to chronic renal failures, reproductive disorders and increasing mortality (Kamath and Dikken, 2003). Recurrent abortion, hypoprolactin (suppression of lactation) and mastitis are observed among animals giving milk (Srivastava, 2006). The first case was reported with the clinical history of jaundice in Andaman Islands, followed by the isolation of Leptospira interrogans serovar Icterohaemorrhagiae in Madras city. Further, more reports have been recorded to confirm the prevalence of leptospirosis in various other animals and humans. In India, the infection pocket was initially determined as the coastal regions of Kerala, Tamil Nadu, Gujarat, Orissa, Mumbai, Uttar pradesh and Andaman Islands (Sehgal et al., 2001; Karande et al., 2002). The serological confirmation of the presence of antibodies against the infective serovars autumnalis, grippotyphosa, hebdomadis, javanica, pomona, pai and sejroe were recorded in southern part of India (Koteeswaran, 2006). Some studies highlighted the increase in leptospiral infections in animals and humans in various parts of India. Prevention of leptospiral infections among animals and humans are considered as long-term strategies that adopt the importance of rodent control, a major source of infection followed by individual’s and environmental hygiene (Srivatsava, 2006). Vaccination is also a very important area to be developed as a prime segment in the prophylactic evaluation (Broom, 1949). Technically, the urgent requirement of the newer and effective vaccines may help to control the infection in animals in husbandry, pet animals and cattles to control the spread of infections to humans. Currently available commercial vaccines for leptospirosis are quite effective by providing serovar specific immunity and are used in many developed countries (Wang et al., 2007). The generation of serovar specific immunity is the major drawback observed where the animals become carriers for leptospirosis (Brunnet and Meyer, 1950). The animals in the community should be targeted for vaccination economically and effective management. Most of the studies suggested for the usage of inactivated or attenuated whole culture vaccine for effective functioning (Christopher et al., 2011). More number of leptosprial vaccines have been identified and evaluated among risk group of animals where the usage of inactivated leptospiral serovars is quite common (Wang et al., 2007). Heat killed, phenol inactivated, lyophilized serovars, formalin inactivated, acetic acid heat extraction and multi time sub cultured pathogens are trialed leads to unsuccessful and no cross protection identified. To overcome this issue, multiserovar vaccines have been introduced and successfully tested on experimental animals. A good and effective observation was made towards the usage of formalin inactivated multi-serovar preparations with adjuvants and acetic acid heat extracted vaccines provide significant high titres lead to successful resistance towards infection (Kaminski et al., 2014). In some instances, shedding of leptospries in the urine of the animals observed even multi-valent vaccines provides high MAT titre leads to the observation of non efficiency of this type of vaccines (Vallee et al., 2016). The trivalent vaccine comprising pomona, copenhagen and hardjo was highly immunogenic and induce high titres but the efficacy is doubtful; thus further measurement of fertility performance and milk yield may provide some effective idea to understand the mechanism and specific action of the vaccine (Venugopal and Ratnam, 1991). Some studies highlighted the usage of bivalent vaccine leads to the protection of animals form the infection and reduction in shedding of leptospires in the urine. Thus the usage of multivalent vaccines is useful in covering infections caused by multiple serovars but it was doubtful that it is effective against all infective serovars. The successful continuous vaccination with intermittent time may be effective to avoid the local swelling and reducing adverse reactions in animals and humans (Poland et al., 2003). The chemical inactivated whole cells of canicola and icterohaemorrhagiae has produced allergic responses by inducing IgE antibodies. Sometimes the inactivated serovars are ineffective and may cause infection to the recipients. More vaccines are available for canine leptospirosis induces the MAT titres not only against the specific serovars used for vaccine preparation but also cross reaction observed leads to misdiagnosis of the disease. Pomona vaccine is the first attenuated live vaccines that are largely used for cattles and observed in the reduced abortion rate. The gamma irradiated leptospires were competent towards producing agglutinating antibodies and showed high protection from mortality and infectious nephropathy (Cumberland et al., 2001). Other study highlighted that chemically inactivated vaccine is effective than the irradiated vaccine; in both cases, the vaccines were serovar-specific, further no confirmation was found in this scenario. Synergestic observation of irradiated pomona with 60 ug/ ml dihydrostreptomycin was carried out leads to high protection in animals where no shedding of leptospires observed after 14 days, the another set of animals with irradiated Pomona aloe leads to establish renal infection. The attenuated live vaccines were capable of stimulating higher titers than chemically inactivated leptospiral serovars, further have not gained wide usage among veterinary biologic manufacturers and are probably due to difficulty of maintaining the viability upon storage as well as the possible reversion to the virulent state in the host animal (Cumberland et al., 2001). The subunit vaccine using the outer envelope of the leptospires by sodium dodecyl sulfate method is having primary target for antibody complement action. The degeneration and mutation of the outer membrane is not possible due to its detachment with intracellular organization and completely removed from protoplasmic cylinder (Oliveire et al., 2015). Thus this is very effective, protective and providing satisfactory immunogenic potency in experimental animals than other types of preparations. Further studies also suggested that the protein fractions of the outer membrane are least effective leads to the sensitization of lymphocytes, as monitored by blast transformation. A recent study suggested that the outer membrane proteins (a hydrophobic protein) of the whole fraction among pathogenic leptospires generated cross protection among various serovars, a novel thought in the new vaccine preparations that confer a solid immunity against challenge similar to that observed with a whole cell vaccine (Oliveire et al., 2015). Some studies suggested that the vaccination of guinea pigs with DNA recombinant plasmid protected against virulent L. interrogans serovar Lai. Due to the presence of most abundant protein expressed gene in pathogenic leptospires, the production of recombinant vaccines is quite useful and easy for the production of effective immunogen (Parthiban et al., 2015). Adenovirus expressed protein has been identified and reported to induce significant level of protection in experimental animals. The virulent-associated surface exposed outer membrane proteins like Lig A and Lig B consists only of Ig like domains and an additional unique domain at the C-terminal respectively (Oliveira et al., 2016). Expressing the gene in the eukaryotic models are also now expanding of understand the synergistic attempt. 2. In most of the places, the facilities for performing MAT is not available; MAT may be useful in investigating serovar-distribution provided antibodies are monitored at regular intervals. 3. While investigating the seroprevalence, care should be taken in interpreting the results since no test can differentiate antibodies generated in animals after the vaccination from those developed after an infection. 5. Repeated booster immunization may not provide sufficient immunity against such serovars. 6. The development of leptospirosis vaccines is an arduous and time-consuming process due to the requirement fastidious growth conditions. 7. In laboratory or in pharmaceutical set up, the bulk promotion of organisms may not be achieved satisfactorily. 8. For testing the potency of veterinary biologicals, requirement of large number of hamsters. 9. This is time-intensive and has large associated rest variances. 10. The usage of animals for experimentation is already restricted by the Government, thus successfulness of performing in vitro and in vivo tests are cumbersome. The urgent need of constructing a novel and newer leptospiral vaccines are quite important. From this review, it was identified that the membrane proteins have been increasingly found to be protecting from leptospirosis. Broom JC. The protective value of leptospiral vaccines in hamsters. Vet Res 1949; 11: 127-130. Brunner KT, Meyer KF. Immunization of hamsters and dogs against experimental leptospirosis. J Immunol 1950; 64: 365-372. Chrsitopher SA, Myron JL, Robert BB. The relative efficacy of trivalent live attenuated and inactivated influenza vaccines in children and adults. Influ Respir Viruses 2011; 5: 67-75. Cumberland P, Everard CO, Wheeler JG, Levett PN. Persistence of antileptospiral IgM, IgG and agglutinating antibodies in patients presenting with acute febrile illness in Barbados 1979-1989. Eur J Epidemiol 2001; 17: 601-608. Kamath SA, Joshi SR. Re-emerging infections in urban India – focus leptospirosis. J Assoc Physic India 2003; 51: 247-248. Kaminski RW, Wu M, Turbyfill KR, Clarkson K, Tai B, Bourgeois AL, Verg LLV, Walker RI, Oaks EV. Development and preclinical evaluation of a trivalent, formalin-inactivated Shigella whole cell vaccine. Clin Vaccine Immunol 2014; 21: 366-382. Karande S, Kulkarni H, Kulkarni M, De A, Varaiya A. Leptospirosis in children in Mumbai slums. Ind J Paed 2002; 69:855-858. Koteeswaran A. Seroprevalence of leptospirosis in man and animals in Tamilnadu. Ind J Med Microbiol 2006; 24: 329-331. Oliveira TL, Grassmann AA, Schuch RA, Seixas NAC, Mendonca M, Hartwig DD, McBride AJ, Dellagostin OA. Evaluation of Leptospira interrogans outer membrane protein OmpL37 as a vaccine candidate. PLoS One 2015; 10: 821-829. Oliveira TL, Bacelo KL, Schich RA, Seixas FK, Collares T, Rodrigues OE, Vargas J, Nascemento RO, Dellagostin OA, Hatwig DD. Immune response in hamsters immunized with a recombinant fragment of Lig A from Leptospira interrogans associated with carrier molecules. Mem Inst Oswaldo Cruz 2016; 111: 712-716. Parthiban M, Kumar SS, Balachandran, Kumanan K, Aarthi KS, Nireesha G. Comparison of immunoprotection of Leptospira recombinant proteins with conventional vaccine in experimental animals. Ind J Exp Biol 2015; 53: 779-785. Patra KP, Choudhury B, Matthias MM, Baga S, Bandyopadhya K, Vinetz JM. Comparative analysis of lipopolysaccharides of pathogenic and intermediately pathogenic Leptospira species. BMC Microbiol 2015; 15: 244-250. Poland GA, Shefer AM, McCauley M. Standards for adult immunization practices. Am J Prev Med 2003; 25: 144-150. Prabhu N, Natarjaseenivasan K, Joseph PID. Survey of leptospiral pathogens carried by rodents at different areas of Tiruchirapalli, India. Int J Ent Res 2015; 6: 26-31. Sehgal SC, Sugunan AP, Vijayachari P. Outbreak of leptospirosis after cyclone in Orissa. Nat Med J India 2001; 15: 22-23. Srivatsawa SK. Prospects of developing leptospiral vaccines for animals. Ind J Med Microbiol 2006; 24: 331-336. Tadjine M, Mittal KR, Bourdon S, Gottschalk M. Development of a new serological test for serotyping Haemophilus parasuis isolates and determination of their prevalence of North America. J Clin Microbiol 2004; 42: 839-840. Wang Z, Jin Li, Wegrzyn A. Leptospirosis vaccines. Microb Cell Fact 2007; 6: 39-43. Vallee E, Ridler AL, Heuer C, Collines EJM, Benschip J, Wilson PR. Effectiveness of a commercial leptospiral vaccine on urinary shedding in naturally exposed sheep in New Zealand. Vaccine 2016; 22: 178-185. 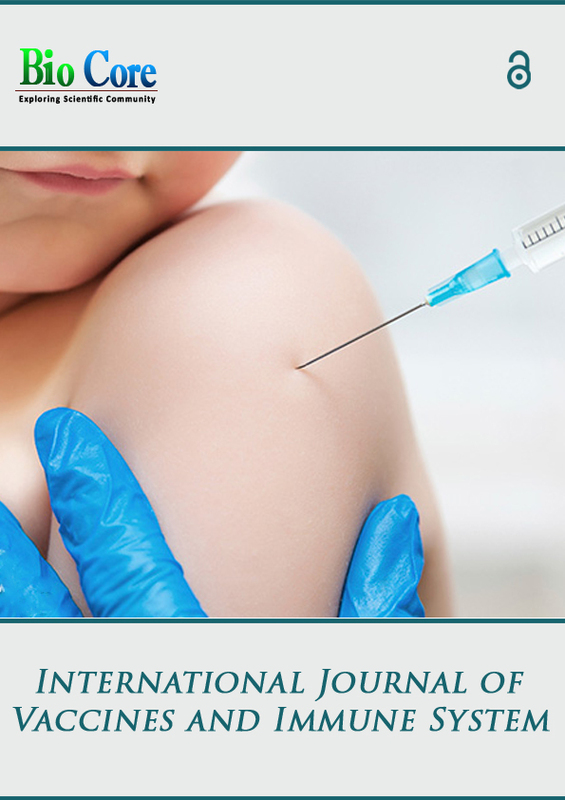 Venugopal K, Ratnam S. Preparation and standardization of trivalent leptosprial vaccine. Ind Vet J 1991; 68: 108-111.